Today was the independent travel day, where students were encouraged to go out and visit areas outside Dublin. Our neighbors took a bus to Northern Ireland, the girls I hiked at Howth with went to the cliffs at Moher, at least one couple decided to ride up and down the DART, and I’m not sure where the rest of the people are at since I haven’t seen them today. Nuts to that, I said. I spent over three grand to come to Dublin and do stuff here, not ride on a stinking bus all day to some other place. 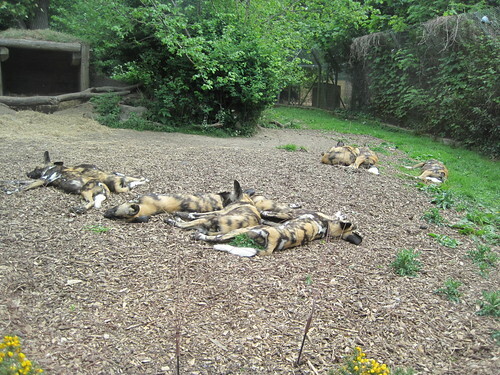 I really wanted to hit the Dublin Zoo, and today was the perfect day to get a little extra sleep and go later. The sleep part didn’t exactly happen since we had fellow Bradley students in our room until almost 2 last night. Even though I missed out on a good night’s sleep, the animals had no problem snoozing. In addition to the normal company of Gabby and Dylan, Sarah and Sydney joined us today at the zoo inside Phoenix Park, which has already been covered in the city tour journal. I’d never met Sydney until this trip, but I had Sarah in class twice a day, twice a week this past semester in my communication classes. There were a lot of kids at the zoo, probably as part of a field trip since it was Friday. I advised our quintet that we wait for certain points in time so we didn’t have to get stuck with a bunch of kids, after we barely escaped a mass exodus of those little hellions when viewing the elephants. In their defense, though, they weren’t as unruly as the kids I’ve encountered throughout the week. 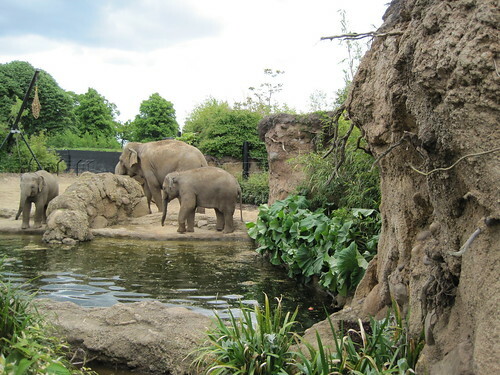 My gripe isn’t with the Dublin Zoo, but zoos in general. How come, no matter what zoo I go to, the coolest animals are always sleeping? Today, the tiger was out cold alongside some African hunting dogs, as well as the hippo and two of the four sea lions. 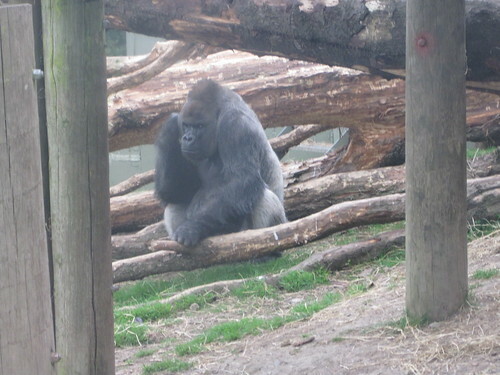 The silverback gorilla wasn’t sleeping, but he wasn’t going anywhere in a hurry, either. Some animals couldn’t even be found or were trying to hide from people, it seemed. I’m okay with the idea of animals in captivity as long as they are treated right, but for once I just want to see some awesome animals roaming around. Even better would be watching them thrashing through some food. I believe it was the tiger who was sleeping while flies and other bugs dissected its raw chicken. 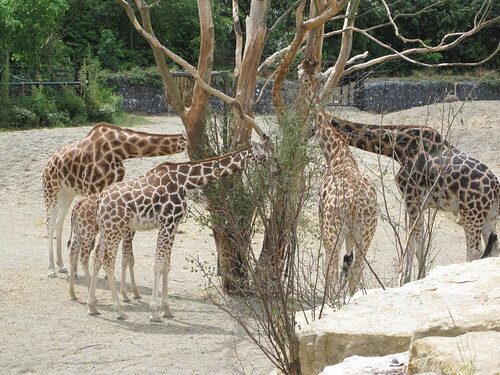 In the zoo’s defense, several giraffes were caught running around and several monkeys were playing with each other. Some of the animals were listed as being more active at night, but I was just surprised how relaxed the animals were today. Maybe they’re just tired of putting on shows. I know if I were held in a cage all day for people to gawk at, I wouldn’t feel up to performing either. I’m glad we stayed in town today, though. I just didn’t have the patience for a bus ride anywhere.